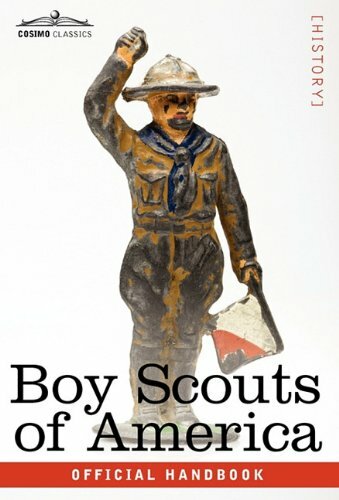 Boy Scouts of America: Official Handbook for Boys was first published in 1910 and continues to be published until this day. It outlines the principles and tenets of the Boy Scouts of America, the merit badges boys can attain for completing tasks and challenges, the classes and levels of scout, and the various skills a scout must possess. The motto "Always Be Prepared" is not taken lightly, and the handbook goes on to describe everything from tying knots, camping, and self defense to field observation, first aid, wildlife conservation, and chivalry. Filled with instructions accompanied by diagrams and pictures, this comprehensive guide is a must-have for any scout's, or anyone's, survival kit. The Boy Scouts of America was founded in 1910, and since its inception has remained one of the largest organizations in America, with more than four million boys participating today. Influenced by the Boy Scout Movement in England by Robert Baden-Powell, it was started in America by a group of young men and boys anxious to be a part of the noble and deserving enterprise.